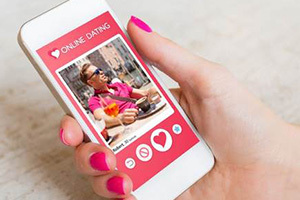 When is the busiest time for online dating? 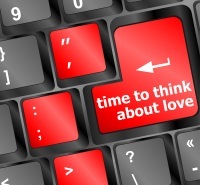 When you are searching for love online you want to maximise your opportunities and get the best results possible. I always advise my dating coaching clients that they should only contact the singles who are also online at that time. If they do that, they’ve got a much better chance of getting a reply. There’s less waiting around and you’ll be able to a more natural, real time conversation. The difficulty is knowing exactly when the most amount of singles in your results are online. A few sites such as match.com display the total number of users online but this doesn’t tell you very much. However, I have some very useful insider info that will help you instead. Firstly, keep in mind that people can log in and out all day long using their mobile phones. They can check messages on the way to work or on the way home. The problem with this is that they aren’t actively concentrating on reading profiles or having long conversations at this time. It’s much better to choose key times when they will be sat down at a computer for a prolonged period. It’s tempting to have a check while they are at work to see who has contacted them from the day before. They know they have a full hour to manage their dating. Many people work from home or unsupervised so they’ll be signed in to read and reply to any messages. Late evening is always a good time as they would have eaten and had a chance to unwind a little. I’ve known singles to talk with other until the early hours of the morning. Dating sites can be busy all week long but there are important “hot spots” when you’ll get more replies. The best times are late Friday and Saturday evening. Rather than giving the impression you are lonely, you’ll find everyone else is in the same boat. So if they don’t have any dates lined up and are stuck at home, this is your chance to work your magic and change that. You’ll also find plenty of singles who HAVE been out dating but have been disappointed and returned early. The best way for them to feel happy is to start talking to someone new. That might as well be you! The absolute peak time for dating sites is always the period from Christmas until just after Valentine’s Day. That’s when single have the most desire to meet someone. New Year’s resolutions come into play and they put more focus and energy into finding love. There’s a huge amount of new profiles being created so you need to make sure yours is ready and good to go. You want them to notice you quickly so your profile and photos need to be attention grabbing. Welcome them to the site and try to be the first people they interact with. If they have a good experience you could be the first person they decide to meet. One bonus tip I’d like to share with you is to log in and out regularly. Search results usually display the most recently logged in members (just after anyone who has paid for a boost) so you’ll get more attention. Many people forget to log out which means they get lost and few people ever contact them. Sign in and out a few times a day and you’ll see a real difference. If you’d like to choose the best site for you then please have a look at our reviews and comparisons.